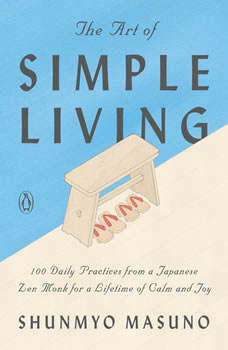 In clear, practical, easily adopted lessons--one a day for 100 days--renowned Buddhist monk Shunmyo Masuno draws on centuries of wisdom to teach you to Zen your life. Discover how . . .
A minimalist line drawing appears opposite each lesson on an otherwise blank page, giving you an opportunity to relax with a deep breath between lessons. With each daily practice, you will learn to find happiness not by seeking out extraordinary experiences but by making small changes to your life, opening yourself up to a renewed sense of peace and inner calm.